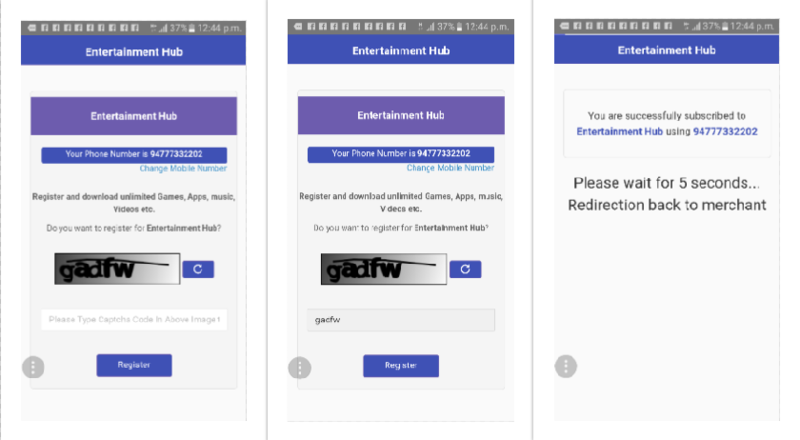 You can use this widget to register a user to your app over web or mobile app. 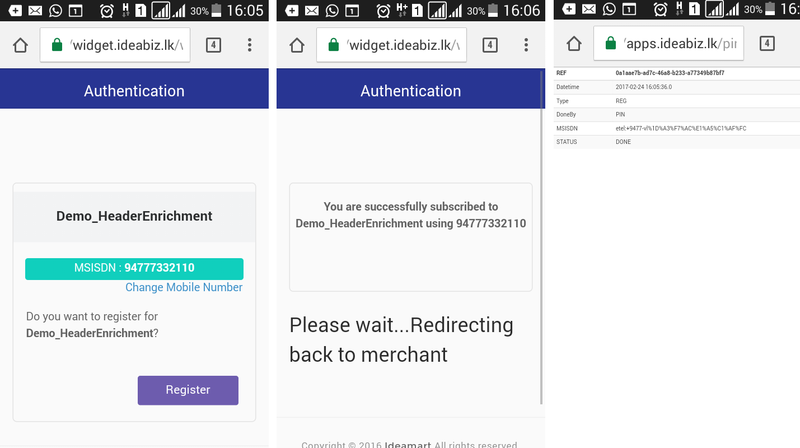 Simply redirect user after Registration on your web or mobile app, to the url that is provided below (APP-KEY will be provided by support team). 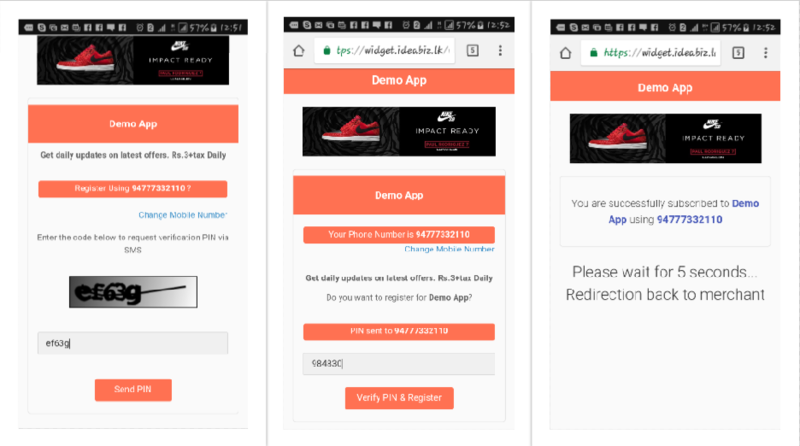 User will provide Registration confirmation on Subscription widget which will manage user Subscription. Request-Ref is optional value that you can pass to dialog end. that value will return in status check API. so you can match which user has returned back. If you provide an admin API url, you can recieve an API call whenever the subscription status of a user gets updated. You can Subscribe to Web-PIN-Subscription API to view status of server reference. API Direct link is as below. You need to call Status API as shown below with the Ref that you received. This widget is compatible with encrypted header enrichment as well. If you wish to implement user flow 3 listed below, please discuss with support team for required special configurations.